Preventive maintenance software solution for preventive maintenance of factory machines and facilities. 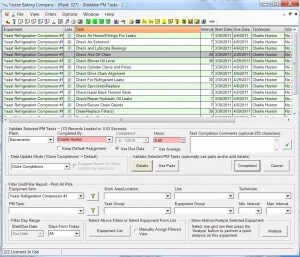 Maintenance software extends machine life and offers greater reliability leading to optimized production. Our preventive maintenance software solution uses a calendar-based PM system for managing preventive maintenance tasks. This is a special dedicated preventive maintenance software component not offered by any other maintenance management software vendor. All other CMMS software systems use work orders to manage all work including preventive maintenance work. 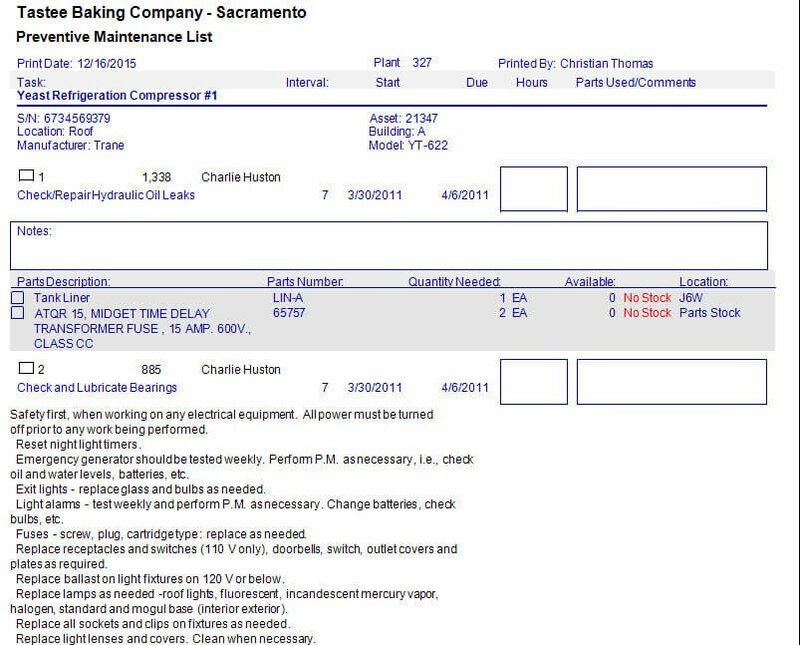 Specifically, MaintSmart includes this extra PM software module to augment work order system for preventive maintenance, not to replace it. In short, there are two preventive maintenance software solutions available with our system. 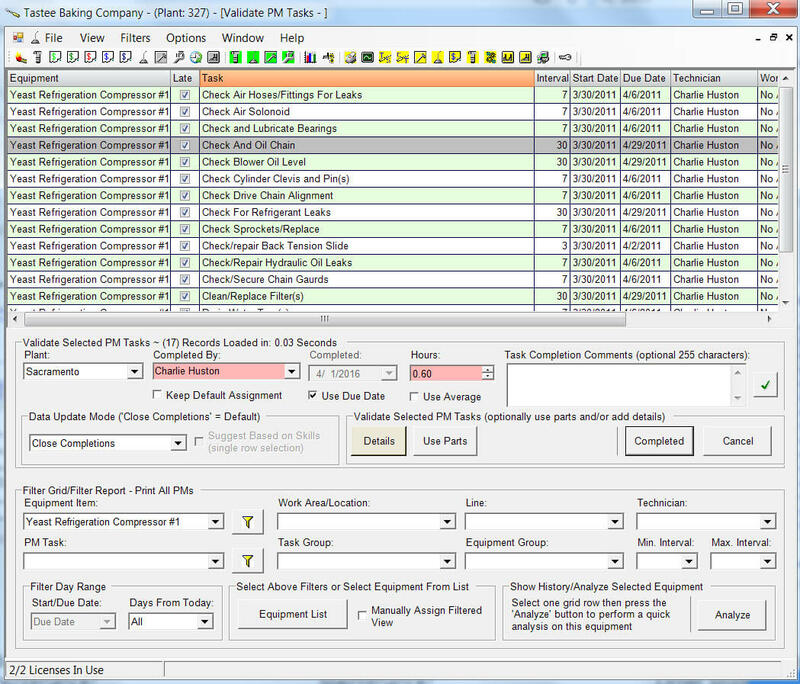 This provides additional flexibility to the maintenance planners PM toolbox. Using a calendar-based preventive maintenance software solution has several benefits. First of all, create preventive maintenance task lists one time. As PMs are closed, new PMs generate automatically for the next assignment period. Secondly, close many PMs simultaneously using shortcuts such as, default completion dates and averaged historical completion labor hours. Additionally, close PMs manually for improved accuracy. 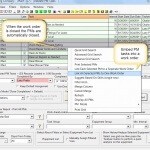 Best of all, there are multiple PM list formats ranging for very simple checklists to very detailed lists including parts lists. Undoubtedly, the preventive maintenance software component fills a gap in CMMS software providing a simple list based preventive maintenance management system that is easy to create, manage and assign. A typical 200 equipment item maintenance operation can easily create a complete preventive maintenance software solution in approximately 20 hours. Since PMs automatically regenerate when closed setting up PMs is a one time deal. PM Module for Preventive Maintenance? Easy to filter and print precisely the PM list needed. Simple to close many PM tasks at one time. List format is easy to follow and manage. Create PM task lists one time only. Thereafter tasks regenerate automatically. 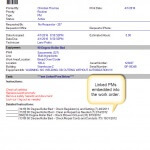 Easily scheduled through the print/email scheduler. 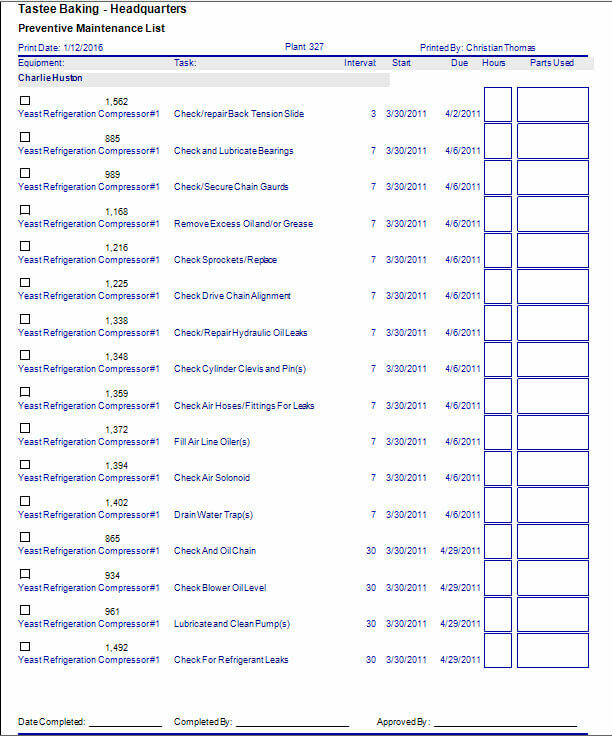 Multiple formats to choose from: simple list, detailed list or details with parts. Work Order Module for Preventive Maintenance? 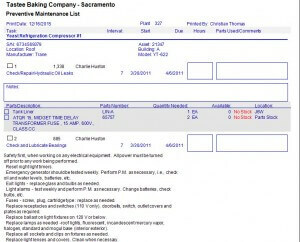 The work order module is also well-suited for managing preventive maintenance. Work order templates (used to create new identical work orders from themselves) may be used to create new work orders triggered by calendar-based schedules, day of week/time, calendar day/time or by meters. To clarify, meters are a user-defined unit of anything the maintenance manager needs for triggering work orders. For example, every 200 cuts, every 5000 cycles, every 300 hours or 30 days, etc. Use up to six (6) of these user-defined meter definitions simultaneously to trigger the same work order. In this case, the first meter reaching its threshold triggers the work order. Lastly, email or print the new work order automatically or manually. In short, this is an automated, demand-based system. There are other benefit of using work order templates for managing PMs too. First of all, work orders created from templates are more detailed. For example, work orders contain file attachments, multiple comment fields, approval certification, and many more fields if needed to fully describe and classify the job. Integrate the work order and PM module to create a complete preventive maintenance software solution. Specifically, use the preventive maintenance screen to embed PM tasks into a work order. 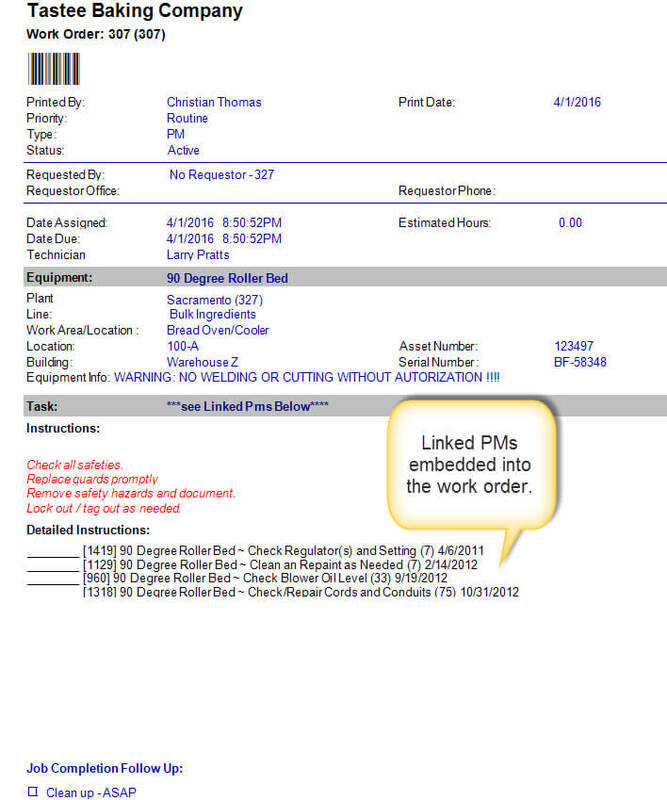 The result is, the PM task list displaying within this work order. Best of all, when the linked work order is closed, all of the embedded PMs are also closed simultaneously. Link Parts to PM Tasks. 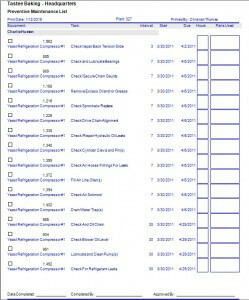 Link unlimited spare parts to each preventive maintenance task list. 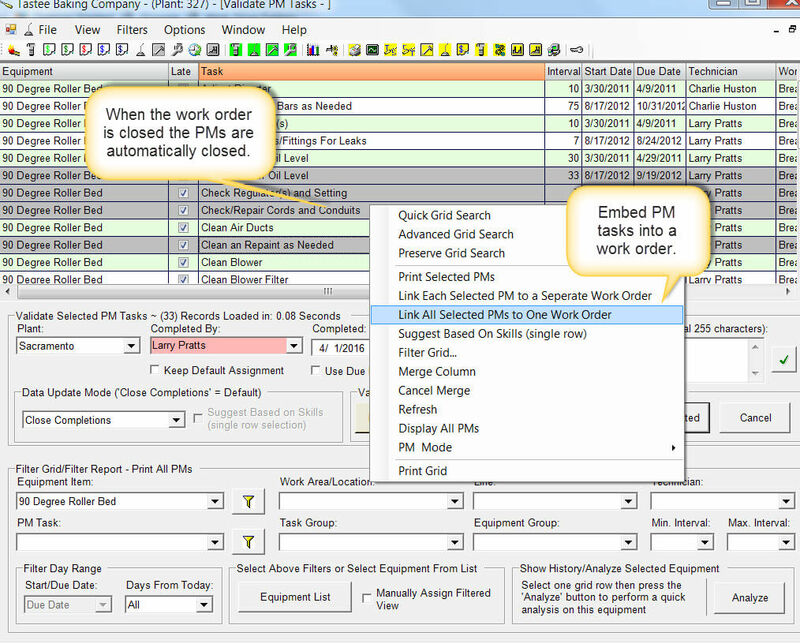 Additionally, choose from two options for using spares against a PM task. First of all, link the spares to each equipment-task-interval combination for display only. In this case, the spares are manually drawn from stock by the user at the time the PM is closed. Alternatively, spares are automatically drawn from inventory stock as the task is closed. Subsequently, if the spares are not required return them to stock. Additionally, it is simple and intuitive to edit the quantity used or delete the stock usage data altogether. In any event, inventory quantity data is automatically reduced as parts are used. Conversely, inventory quantities increase as spares are acquired or returned to stock for whatever reason . In short, this system automates the usage of spares. The spares usage record references to why, where and who used the parts. Present this information in a filtered report as needed. In short, we offer a complete preventive maintenance software solution.